A fun collection of Heathy mazes for students! 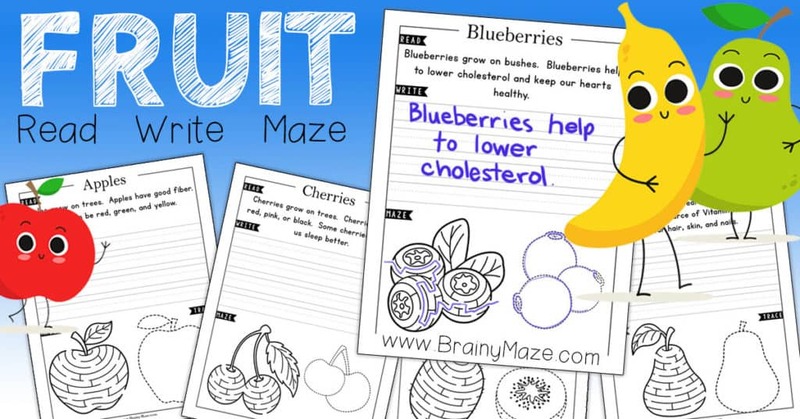 Each activity page teaches children the health benefits of a specific fruit. 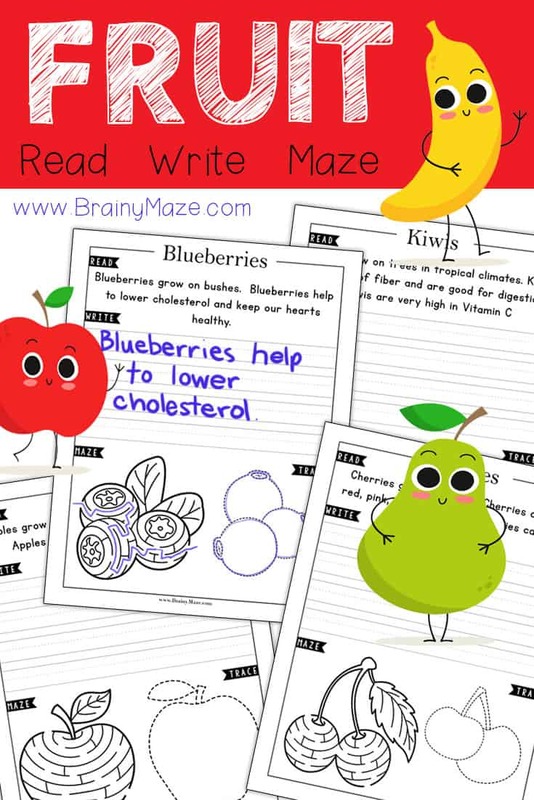 Students read, write, maze and trace their way to a good understanding of healthy fruits. Apples grow on trees. Apples have good fiber. Apples can be red, green and yellow. Bananas grow on trees. Bananas have lots of potassium and help us digest food. Blueberries grown on bushes. Blueberries help to lower cholesterol and keep our hearts healthy. Cherries grown on trees. Cherries can be red, pink or black. Some cherries can help us sleep better. Grapes grown on a vine. Grapes can be red, green, yellow or purple. Grapes help to keep our hearts healthy. Kiwis grow on trees in tropical climates. Kiwis are full of fiber and are good for digestion. Kiwis are very high in Vitamin C.
Lemons grow on trees. Lemos are acidic and help our bodies stay balanced. Lemons detoxify and are good for our livers. Oranges grow on trees. Oranges are filled with Vitamin C which help to keep people healthy. Pears grow on trees. Pears are full of fiber and are a goo source of Vitamin A which helps our hair, skin and nails. Strawberries grow on small strawberry plants. Strawberry seeds are on the outside and are full of Vitamin C.
Watermelon grow on vines. Watermelon are mostly water and help us to stay hydrated. Watermelon have very few calories. 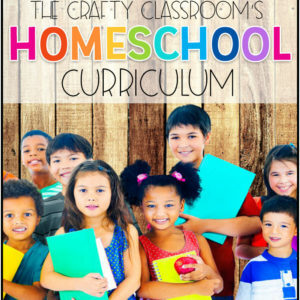 Teaching your child to read is one of the most difficult but rewarding tasks of Homeschooling. Starting with read alouds when children are very young builds many pre-reading skills that will set the foundation for your child’s reading career. As far as teaching a child to read, the best thing you can do with your child is read to them! I’m currently teaching my third child to read so I’ve had ample opportunity to try out different reading curiculums and online software, some of which I couldn’t live without, but today I wanted to highlight some of my favorite Bible resources for learning to read. Who is this for? 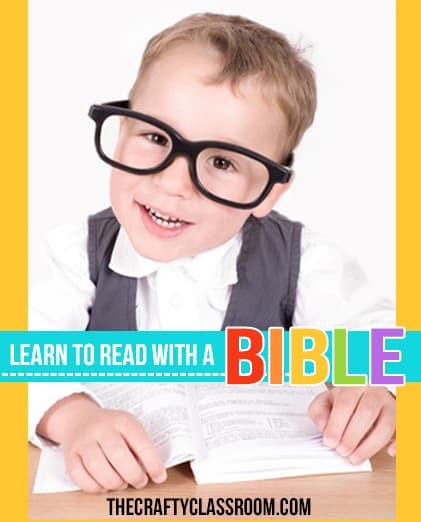 This Learn to Read Bible is for a child who is just starting to master letter sounds and blends. The child may or may not have memorized a few sight words, but they are showing readiness to move beyond letter sounds and into blending words. Why use this Bible? Each page is filled with full color illustrations that will draw your young child into God’s word. Below the colorful pictures are two new words for children to learn, followed by three or four short sentences for children to read. The font is bold and easy to read, with the new words in a different color. Many pages contain short follow up questions you can ask your child after the reading. 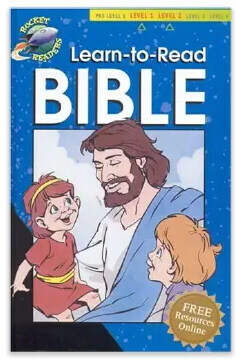 How to use this Bible to Learn to Read: For each day teach your child the two new vocabulary words. Introduce the words to your child then work together to read the days reading, emphasizing the new words as you read. If your child is just starting to read words you might read the page first, moving your finger underneath each word accordingly. Next, read the page with your child. Again, as you read with your child hold your finger underneath each word you are reading and slowly sound out the letters together, blending the sounds to form the word. Slow and steady is the goal, it might take the entire lesson to read the first page and that is okay. After blending the word be sure to “recap” what you are reading to keep the words in context and move the story along. You might ask your child to copy their new words into a notebook, and choose a sentence to use as copywork and handwriting for the day. Here is a free copywork page you can use specifically with this Learn to Read Bible. This would make a simple follow up to your short daily lessons. Children write their two new vocabulary words into the blank frames. 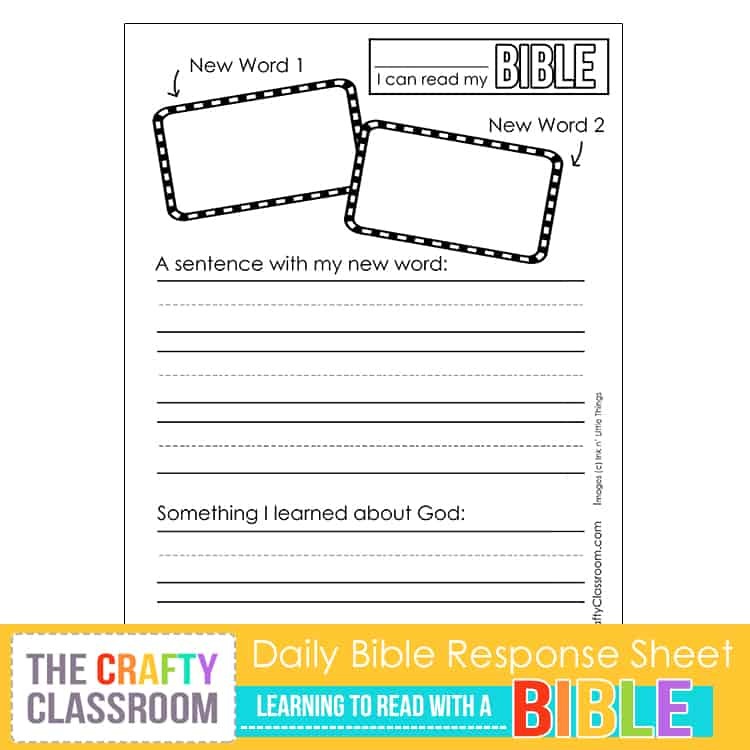 Then using the Learn to Read Bible as a source, they can copy a sentence with one of their new words onto their paper. 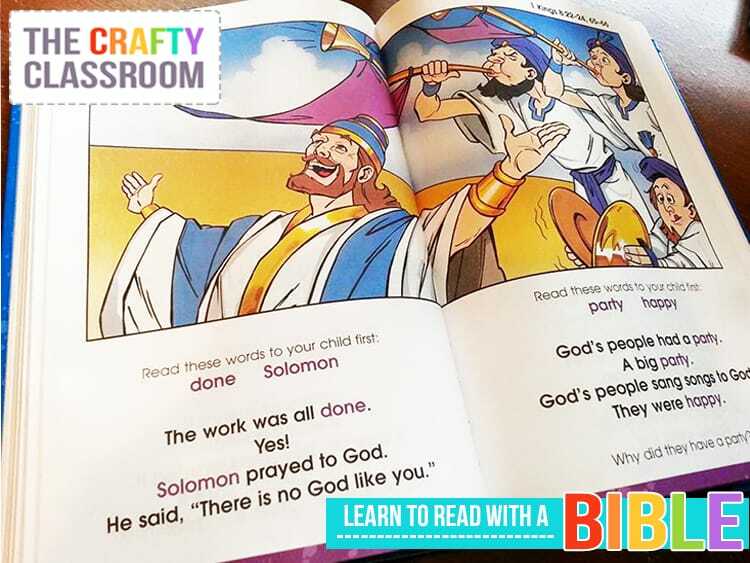 Children can then follow up by writing something they learned about God from the story. 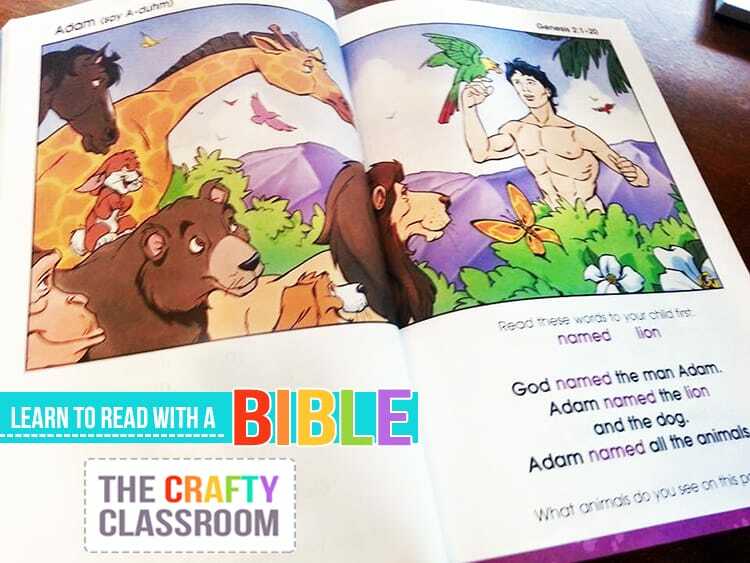 The Learn to Read Bible is very good at keeping God the center of the storyline, children will easily find sentences in their reading such as, “God is great,” “God does not lie,” “God was with them,” and “God had a plan.” Pages that don’t include such sentences provide children with an opportunity to dig deeper into the story to determine what they can learn about God from the days passage. 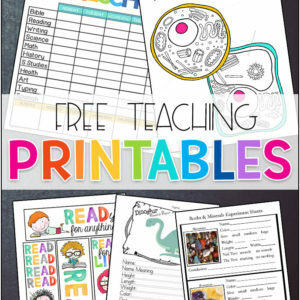 You might even have children read their responses to you afterwards to reinforce reading and editing skills. 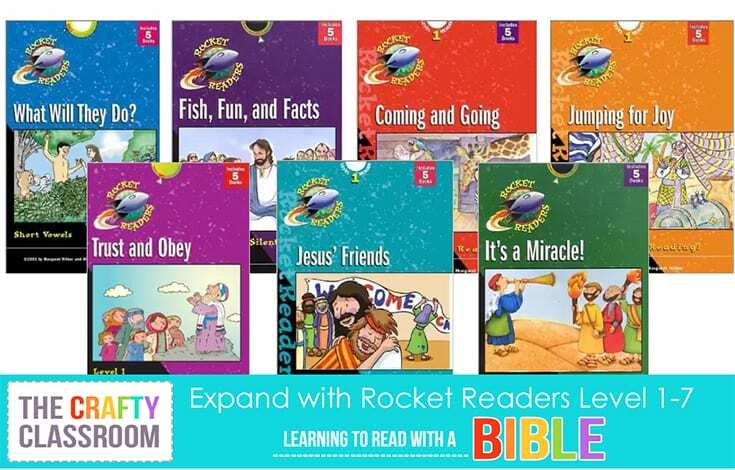 For children who are ready, you can expand these daily readings with Rocket Readers Bible Stories. Each level includes multiple books for children to read with a specific goal in mind. 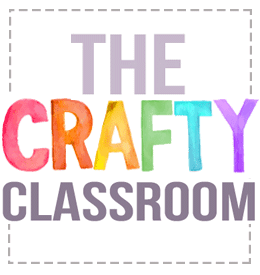 For example Level 1 Rocket Readers work on alphabet sounds and beginning sight words, Level 2 teaches letter combinations, Level 3 brings in beginning writing skills…..etc. 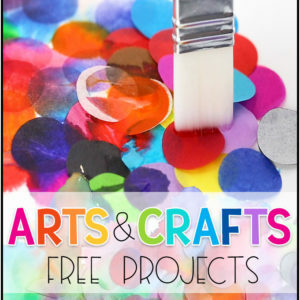 These books are small but provide children with a sense of accomplishment and don’t overwhelm the early reader. Once your child can read more than a few sentences at a time, you might consider The Early Reader’s Bible. 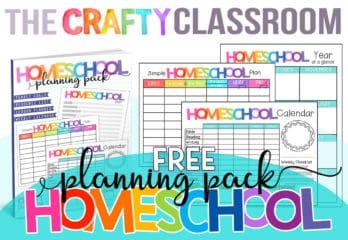 It was also one of our favorites and with the vocabulary word bank and follow up questions it’s very easy to transition your child to this next level. they’ve been dying to dig into the bright colors and try them out! I decided that it would be a great time to really bring out the color. We practiced blending across the page, lots of water and lots of overlapping. from a template that I made. When they were finished, we stood back and saw how stunning they were! Something worthy of prime real-estate in our classroom gallery!